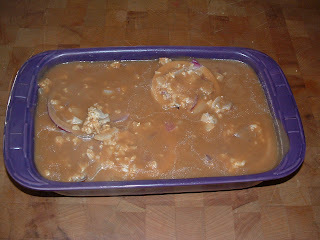 Place chicken pieces in a shallow buttered baking dish. Whisk remaining ingredients together until smooth. Pour evenly over chicken breasts. Bake uncovered 50 – 60 minutes. This isn’t my normal homemade food fare, but it was soooooooooooooooo good I couldn’t resist it. I made this while we we are in the middle of the big cross country move prep and it truly was a godsend of comfort food during the first cold front too. 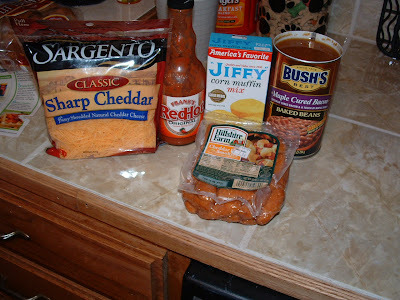 Mix together the baked beans, lil smokies and hot sauce. Spray 1 1/2 quart casserole with PURE. 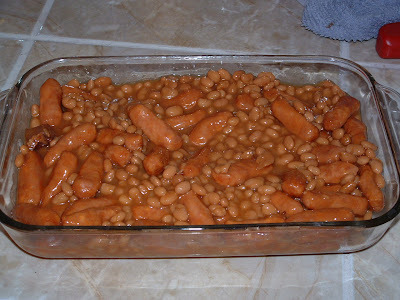 Pour in bean mixture and bake 15 minutes. 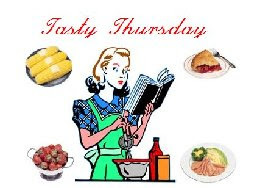 In a mixing bowl mix together the corn muffin mix, water and 1/2 cup cheese. Spread over top of bean mixture. Bake 15 more minutes or until golden. 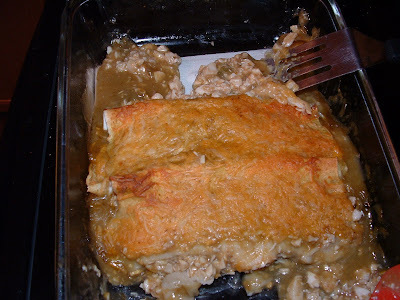 I’ve been making these for years on weeknights and they are a family favorite for a quick meal. *I use the chicken from the 2 for 1 roast chickens I buy on Tuesdays at my market. 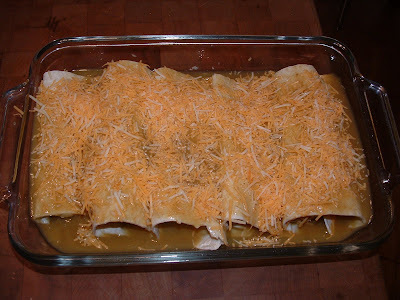 They can also be prepared the day before so thay are ready for the oven the minute you walk in the door. 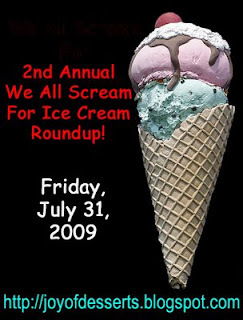 Don’t forget to visit Joy of desserts for the Ice Cream Round-Up on July 31st. Butter an 8×8 baking pan, heavily dust the inside of the pan with cocoa and tap out the excess. Place the pan on a baking sheet. Melt the butter in a medium saucepan over low heat. When the butter is melted, add the chopped chocolate and sift the cocoa and espresso powder over it. 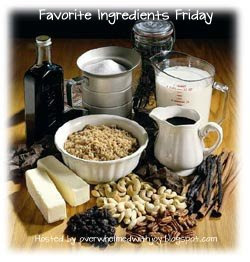 Continue to cook, constantly stirring, until the butter is melted and the cocoa and espresso powder are well blended. 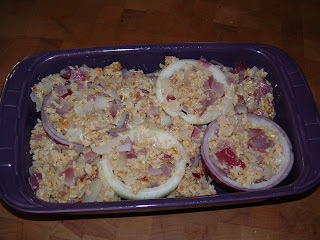 Remove from the heat and cool several minutes. Whisk eggs into the saucepan one at a time. Next, stir in the sugar and vanilla. Don’t beat anything too vigorously or you’ll add air bubbles to your batter. 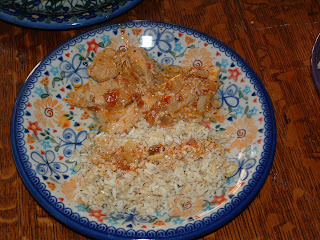 Followed with the dry ingredients and nuts. Scrape the batter into the pan. Bake for 30 minutes, at which point the brownies will still be gooey but done to the toiuch on top. Let the brownies cool for at least 30 minutes. Turn the brownies out onto a rack and then invert onto a cutting board. Frost with chocolate butter cream if you like or sprinkle with powdered sugar. Heat oil and melt butter in skillet. Add chicken. Salt & pepper. Quickly stir fry and brown on all sides. With a slotted spoon remove chicken and keep warm. Add the onion and garlic. Cook until translucent. Whisk together the wine, vinegar, sugar, water, pesto and bouillon base. Add to skillet and blend well. Simmer 20 minutes or so until sauce reduces and thickens. Return chicken to pan and heat through. Add rice and saute a few minutes, stirring constantly. Whisk seasonings and bouillon base into water and wine. 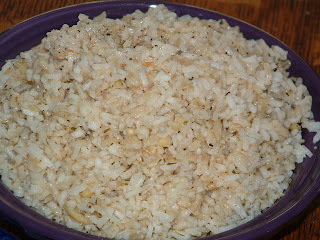 Pour seasoned mixture over rice and bring to a boil. Remove from heat and let stand 5-10 minutes. Thaw the pastry sheets at room temperature until they’re easy to handle (about 45 minutes). 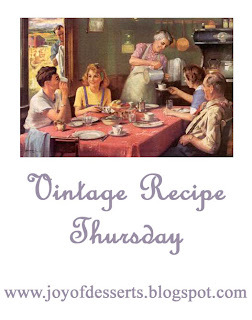 Whisk the orange juice, apple pie spice, brown sugar and sugar together in a medium saucepan. Bring to a low boil. Add apple pieces and raisins. Line baking sheet with silicone mat or parchment paper. Unfold pastry sheet on a lightly floured surface. Roll the pastry sheet into a 10-inch square. Cut the pastry sheet into 4 (5-inch) squares. Repeat with the remaining pastry sheet. Spoon 1/4 cup of apple mixture into center of square. Brush the edges of the pastry squares with the egg. 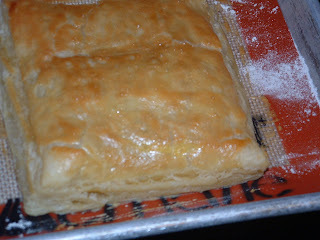 Fold each pastry in half over the apple mixture and press the edges to seal. Place the filled pastries onto the baking sheets. Brush the tops of the pastries with the egg. Bake for 15-20 minutes or until the pastries are golden. Let cool on the baking sheets for 2 minutes. Remove the pastries to a wire rack and let cool. 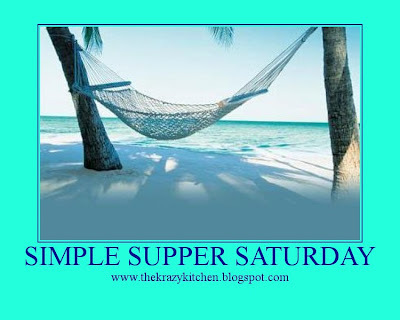 Place the butter into a small microwave-safe bowl. Microwave on HIGH for 30 seconds. Stir in the confectioners’ sugar. 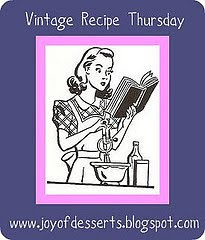 Stir in the water, adding additional water, if necessary, until the icing is the desired consistency. Drizzle the icing over the pastries. 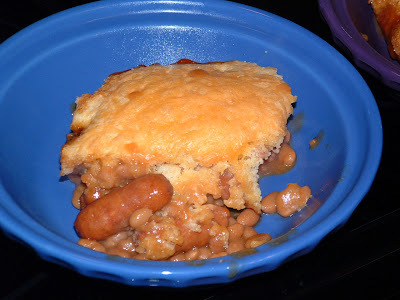 *If you’re in a hurry, you can substitute a can of crescent rolls and have a similar dessert. 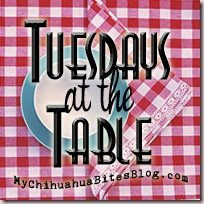 Tuesdays at the Table is normally hosted by Andrea over at My Chihauhau Bites but Andrea is taking a break while she has her baby and is being hosted by Cole for a while. Joy of desserts hosts Vintage Recipe Thursday. Add garlic and saute’ until fragrant. 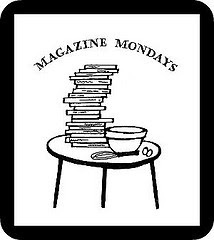 In an effort to clean out my magazines and cookbooklets, I’ve decided to join Ivonne at Cream Puffs in Venice who hosts Magazine Mondays and Joy at Joy of desserts who hosts Vintage Recipe Thursday in an effort to clean out my pile of ‘to do’ recipes. Cream butter, orange peel, vanilla and sugar together. Add the eggs, blending until smooth. Add lemon juice and pineapple. 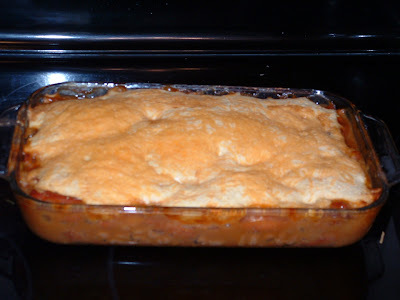 Pour into a well greased 9×9 baking dish. Bake, uncovered for 3540 minutes or until set. 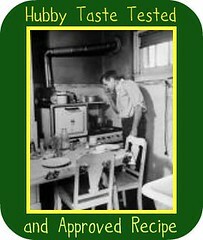 The picture turned out a little blurry, but it didn’t affect the flavor at all! 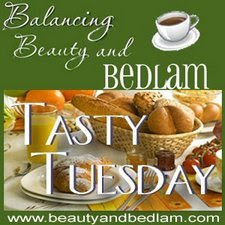 Mix together using your hands: 2 sticks butter, brown sugar, flour, oatmeal, salt, and baking soda. Place 1/2 of this mixture in a greased 8×8 pan. Pat down. In a medium saucepan melt 1 stick butter. Add the chocolate chips and condensed milk. Stir until smooth. 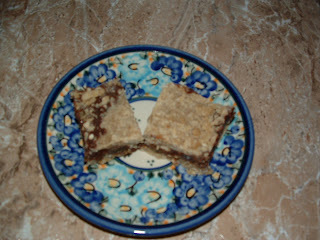 When melted add the toffee, nuts and raisins. Pour over mixture in pan. 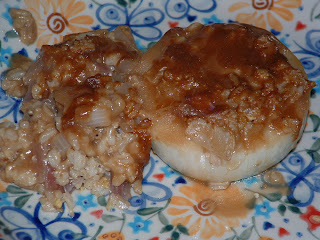 Take remaining oatmeal mixture and put over top, patting down. Bake at 325º for 20-25 minutes. Store in a cool place (frig is best in an air tight container). Let me warn you these are very rich and should be cut into small pieces. They are like a rich fudge. Mix all ingredients together by hand (like you would brownies). Bake 45 minutes or until toothpick comes out clean. Cool 20 minutes. Invert onto a plate.